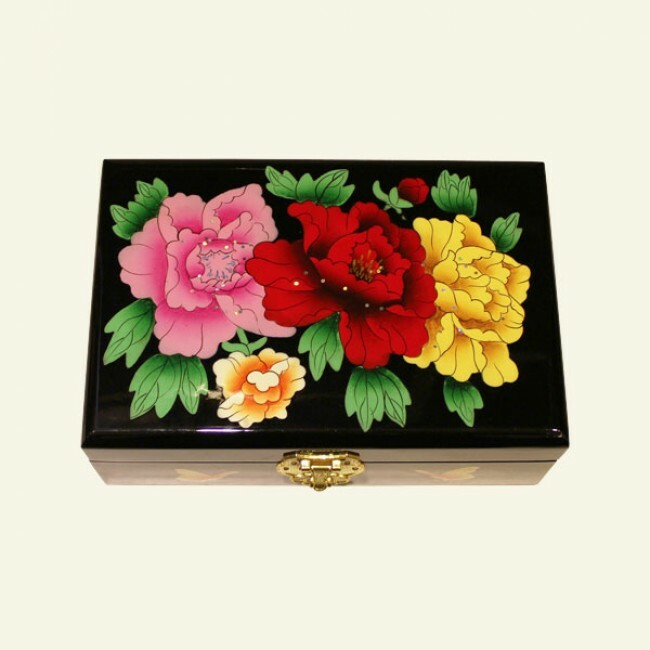 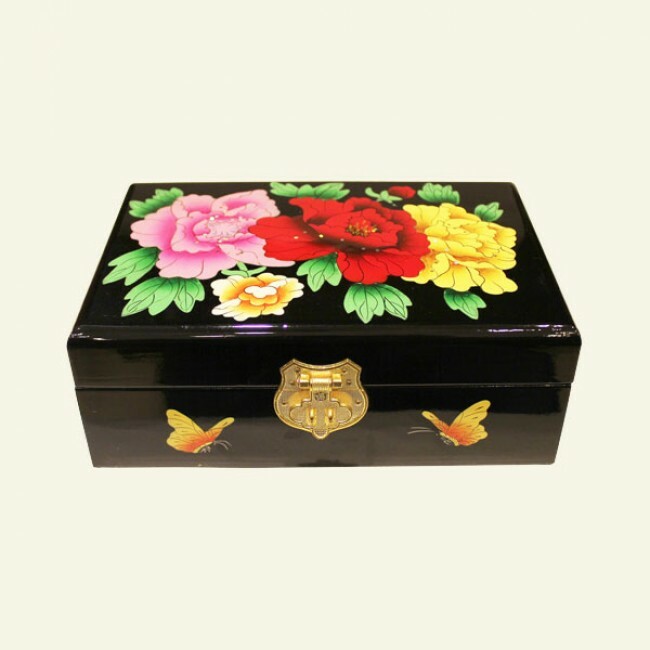 This black lacquer style wooden jewelry box has striking flowers painted on the exterior with the heavy black outline style of traditional Chinese inlay work. 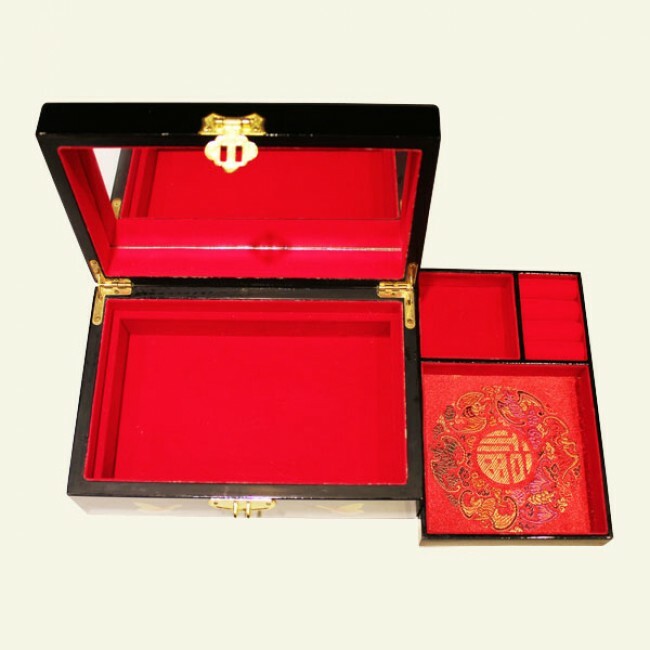 Inside, the jewelry box features an inset mirror and removable tray. 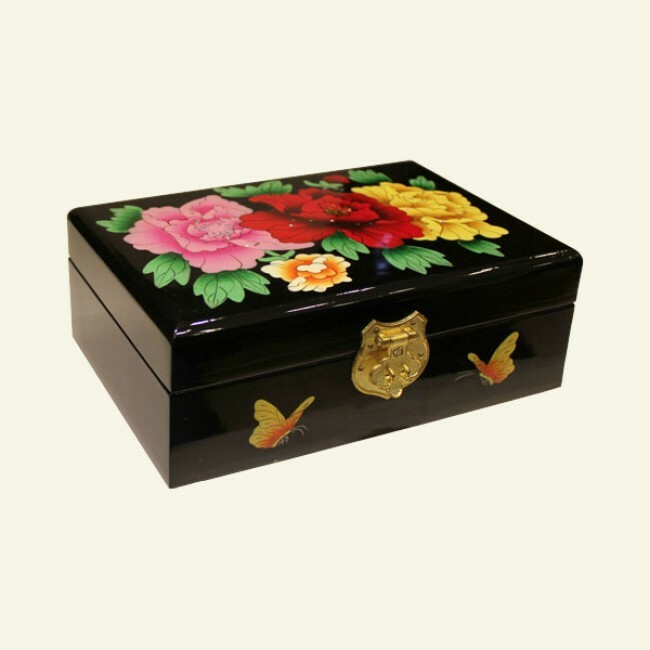 Both the box and tray are lined to help protect your jewelry from dust and scratches. 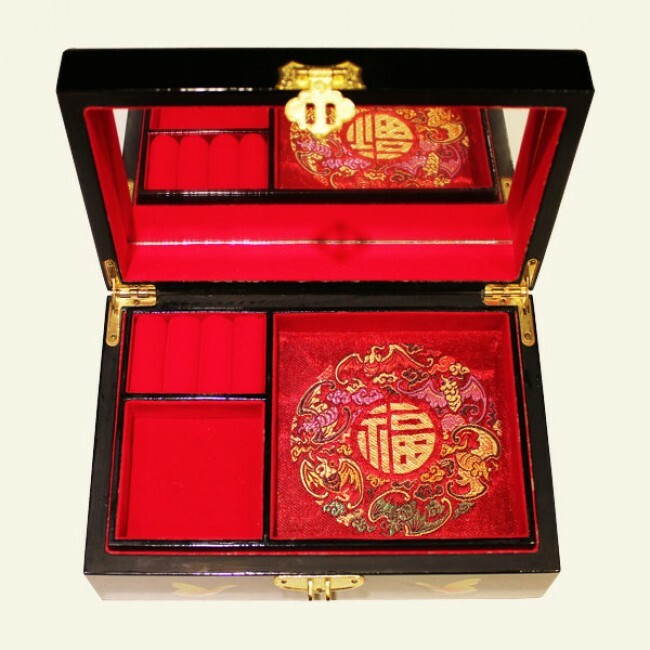 The tray offers three separate compartments, the largest one is decorated with traditional Chinese symbols. 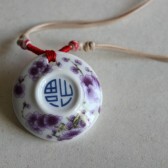 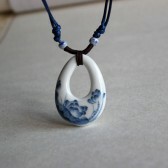 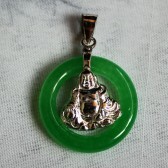 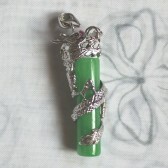 8.3" X 5.5" X 3" (21cm X 14cm X 7.7cm).